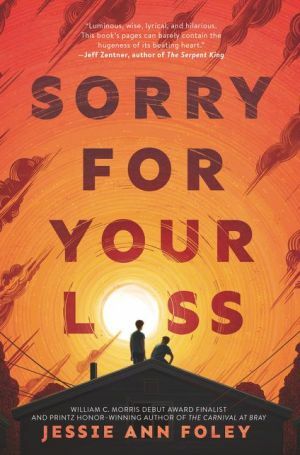 From Printz Honor winner and Morris Award finalist Jessie Ann Foley comes a comitragic YA novel that will appeal to fans of Jandy Nelson and Jeff Zentner. As the youngest of eight, painfully average Pup Flanagan is used to flying under the radar. He’s barely passing his classes. His lets his longtime crush walk all over him. And he’s in no hurry to decide on a college path. When Pup excels at a photography assignment he thought he’d bomb, things start to come into focus. His dream girl shows her true colors. An unexpected friend exposes Pup to a whole new world, right under his nose. And the photograph that was supposed to show Pup a way out of his grief ultimately reveals someone else who is still stuck in their own. Someone with a secret regret Pup never could have imagined.